Super Deal for the Super Bowl! 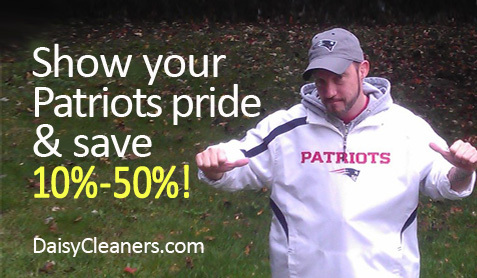 Daisy Cleaners is PUMPED that our own New England Patriots are heading for the Super Bowl again! We feel a victory coming! 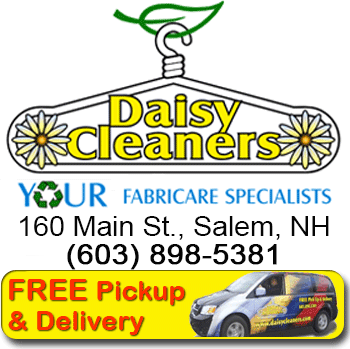 This special offer is valid at Daisy Cleaners in Salem, NH from Sunday, January 29 through Tuesday, February 7, 2017! 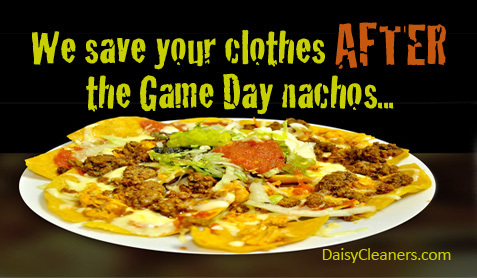 Enjoy your Super Bowl party & don’t worry about nacho & chicken wing stains on your special game-day clothes. 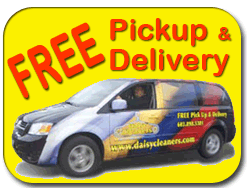 Don’t be crazy, go to Daisy!!! *Maximum of one discount per order.